This year you are invited to participate in a church-wide Lenten discipline that flows from the lectionary-based theme: God’s Abundance. For four of the six weeks of Lent, tables will be available in neighborhoods throughout Durham for weekly potluck meals. You are welcomed to explore the abundance of friendship, fellowship, and food in your own backyard. Click here to sign up for a table. We look forward to journeying through Lent with you! Prepare for the Lenten journey: Easter gardens, pretzel baking, Lent Bookshop, service projects and so much more. Meet us in the church parking lot at 6:00 pm and we will ride the church bus to CCB Plaza and hand out buttons and beads in the parade. Come and enjoy a simple, delicious meal of soup and bread at either the noonday (in collaboration with Open Table Ministries) or evening service followed by Lenten worship with the imposition of ashes. Children and their families are invited to an interactive journey from Ash Wednesday to the empty tomb. Create a passport before and a tour guide takes you through each part of our Lenten journey. 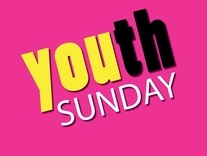 Join us on Sunday, March 6 as our youth lead worship service. Contact Roger Loyd to volunteer. Sign up here. Use DM for the reservation code. Join us for the Durham Crop Hunger Walk on March 20th at 2:30 pm (Duke Chapel). Let us change the lives of hungry people in Durham and around the world. Have you ever longed for a comeback? We all know what it feels like to have life disappoint us and not work out as we'd hoped. We all know what it's like to long for something different, something better, something more. All are invited to this small group study led by Rev. Carolyn Schuldt, executive director of Open Table Ministries. Supper served at 5:00 pm followed with study from 5:30-6:30 pm in the Pine Room at Trinity UMC.